Out with the old, in with the new! Are you up-to-date on the latest rules in fitness? Popular belief about the most effective exercise techniques to achieve the highest level of fat loss and the best results vary from decade to decade. New studies come out, more data is considered, and we get smarter, more efficient, and more sophisticated in our knowledge and techniques. A decade ago the mantra was that having a workout partner was the holy grail of accountability and success. Article after article touted the magic of workout partners, and so fitness enthusiasts across the globe obediently found their own fitness friend. While this rule was made with good intentions, the reality is that not all workout partners are beneficial for your results. In fact, many exercise partners actually serve as a distraction rather than an asset when it comes to getting the most from your gym time. The new rule about exercise partners goes like this: the right exercise partner can enhance your results, but the wrong exercise partner will tank your gym time. Choose your exercise partner with care, or choose to workout alone if no one in your life can fill that role. Athletic shoes have undergone major changes over the past decade. Designs used to emphasize stability and cushioning, with bulky designs intended to give you the most support possible. Today biomechanical experts have introduced the concept of minimalistic footwear, suggesting that it reduces injuries. While the bulkier shoes from yesteryear prompted strides with a forceful heel strike, putting stress on joints, the minimalistic designs encourage a softer landing with a mid-to-forefoot strike. Should you swap out your favorite pair of workout sneakers in favor of a more barefoot design? Not necessarily. Simply working on softening your stride by eliminating heel strikes could also do the trick. The old school way to a six-pack was to save your ab workout for the end of your gym visit. You’d stop at the exercise mats to spend ten minutes cranking out crunches and sit-ups. Today the popularity of stability exercises and functional training is on the rise. This means engaging your core (abdominal) muscles throughout your entire workout, not in an isolated movement after your main workout is complete. Exercises that require that you stiffen your core against resistance strengthen your abdominal wall, while protecting you from potential injuries. Avoid an exercise routine that’s centered around seated weight machines, as these do not engage your core. Instead seek out free weights, cable machines, resistance bands and other stability exercises. And remember to squeeze those abs while you work it! Push ups from your knees are so last millennium! Not only does this position put unnecessary pressure and stress on your knee joints, it’s not as challenging as other techniques since it doesn’t allow for full range of motion to be achieved. So what do you do if a full push up isn’t manageable? Find another angle, rather than drop down to your knees. Place your hands on a counter or low bench and assume the full push up position with your back flat and spine straight. As your strength increases lower the angle of your push up until you are doing a full, traditional push up. Have you ever struggled through a workout on an empty stomach, fighting hunger pains as you feel the burn, simply because you read somewhere that exercise on an empty stomach burned more fat? You can stop doing that. New research is showing that eating a small, sensible meal before your workout results in a higher fat-burning rate compared to workouts out on an empty stomach. It has also been shown that your workout will be more intense and more effective when hunger isn’t on your mind. Keep your pre-workout meal small and sensible, such as a protein shake or half a banana with a scoop of almond butter. The intention of the pre-workout meal is to provide energy and fuel for your muscles in order to get the most out of your time in the gym. You’re going to love me for this tip because it’s so simple and yet it makes all of the difference when it comes to your fitness results. The sad truth is that more than 90 percent of gym goers fail to achieve the level of results they want—even after a full year of faithfully going through their routine. It doesn’t have to be this way. I believe that you deserve to get the highest level of results possible from that valuable time that you invest in exercise. The results you achieve are equal to the intensity of your workout. In other words, you get what you give when it comes to exercise and results. If you simply go through the motions, while staying in your comfort zone, then results will always be a hope for tomorrow and not today’s reality. So what exactly do I mean when I say intensity? Intensity is a measure of how much energy you’re expending while exercising. The harder you push yourself, the higher your intensity. When you’re simply going through the motions of a routine, without digging down and giving it your all, the workout lacks intensity and your results will disappoint. In addition to seeing awesome results quickly, there are two more benefits to bringing up your exercise intensity. with longer, low intensity workouts. The second benefit is the after burn that you’ll experience after an intense workout. Simply put, this means that your body will continue to burn extra calories long after you have finished exercising. Talk about supercharging your results! Just imagine how quickly your body could transform when you begin to harness the power of exercise intensity. One thing to remember – it’s important that you never sacrifice proper form in favor of intensity. As soon as your form starts to be compromised, reduce your intensity to where proper form is achieved. I’m here to help you transform your body (and your whole life!) through the power of fitness. Call or email today to get started on a fitness plan that will bring the intensity and deliver the results. Help! My booty is too flat. I. Help! My booty is too big. II. Help! My booty is too saggy. III. Help! My booty is too flat. The lunge is an easy and efficient lower-body exercise that can be performed simply using your own body weight or adapted in a number of variations. Considered one of the best leg exercises, the lunge is great for toning your lower body because it works pretty much every leg muscle as well as your glutes. The best part about the lunge is its versatility. You can modify it to perform a variety of exercises. Not only will it spice up your workout, you’ll activate different muscle groups and prevent a fitness plateau. First, let’s make sure you’ve got the proper form for the basic lunge and then we’ll kick it up a notch with four lunge variations. To perform a lunge keep your upper body straight, shoulders back and chest out while squeezing your abs to engage your core. Step forward several feet with your right foot, landing heel first. Bend your right and left leg down until both legs are bent at 90 degrees (never more) and your left knee is about an inch above the floor. Make sure your knee doesn’t extend further than your toes. Keep your body upright and work to keep your balance by not wobbling from side to side. Lift your body up and bring your hips forward until you’re standing straight again. Repeat lunging forward with your left foot. For a harder alternative, perform a lunge on a BOSU ball by stepping forward onto the BOSU ball. Make it a back lunge by standing on the BOSU ball and stepping back into a lunge alternating your legs. The BOSU ball is an added challenge because it makes it harder to balance on your legs. Want to take it one step further? Hold free weights in each hand as you lunge. Begin by placing the resistance band in your hands and stepping in the middle of the band with your left foot. Step back with your right foot, bending into the 90 degree angle while simultaneously raising your arms to shoulder-height. Make sure to keep your abs tight, back upright, and your arms straight. Perform 10-20 back lunges with your right leg and then switch to the left. This exercise can also be done with free weights instead of the resistance band. Holding a kettle bell or weight, step forward with your left foot in a lung position, making sure that your knee doesn’t go over the line of your foot. From your torso, twist your upper body to the left while reaching across your left side with your arms out-stretched. Be careful not to twist at the knee! Step back to a standing position and repeat with the right foot in front. You’ll want to make sure that you’re twisting to the same side as whatever leg is in front. If you’re looking to get your heart rate up, incorporate more cardio, and kick your workout into high gear, there’s nothing better than the jump lunge! Begin by performing the basic lunge. Engage your core and push off the bottom of both feet into a jump while switching your feet in midair and landing back in a basic lunge. Make sure you’ve mastered the basic lunge and keep your form in check as you jump it out. This exercise works well with High-Intensity Interval Training (HIIT) workouts, such as Tabata; alternating between 20 seconds of max training and 10-second rest periods for a total of eight rounds. So there you have it- five killer modifications for the lunge that will tone and tighten your legs, lift your booty, strengthen your core, and will result in healthy weight loss. 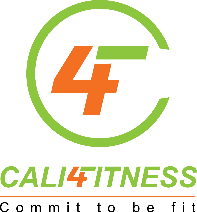 Tune in weekly to our Cali 4 Fitness blog for more fitness and nutrition tips.